Protest Kitchen is an empowering guide to the food and lifestyle choices anyone can make for positive change in the face of the profound challenges of our time. Our food choices not only affect personal health and the environment, but are also tied to issues of justice, misogyny, national security, and human rights. Protest Kitchen is the first book to explore the ways in which a more plant-based diet challenges regressive politics and fuels the resistance. 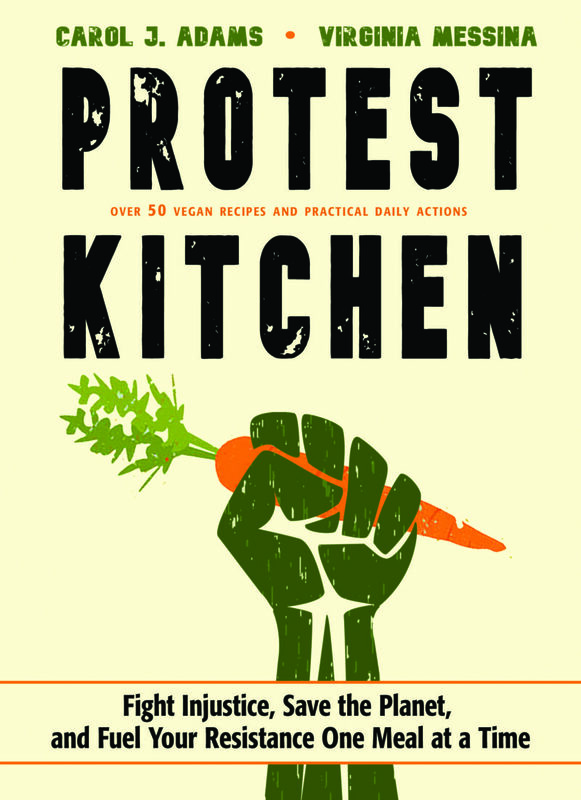 In this link you can read a Protest Kitchen Free E Book Sampler. A provocative and practical resource for hope and healing, Protest Kitchen, addresses all of the impacts of food choices and provides practical guidance for making changes through daily actions and recipes.